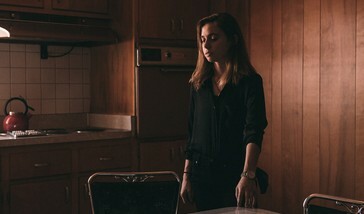 The second wave of Sled Island 2019 artists has arrived! With something for everyone, this diverse selection features both local and international artists spanning a wide array of genres. 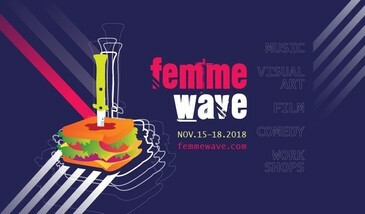 Newly announced additions to this year’s lineup include the incomparable hip-hop stylings of Rapsody, one of only six women ever nominated for a Grammy in the Best Rap Album category, the beautiful freak folk of Jessica Pratt, the sultry, sweaty R&B of Har Mar Superstar, Louisville-based trap prodigy Jack Harlow, the light-hearted indie-rap of Michael Christmas, experimental Palestinian producer Muqata’a (known as the godfather of underground hip-hop in Ramallah), and traditional Ghanian musician King Ayisoba. On top of that, the festival welcomes poet, activist and soulful singer-songwriter Tasha, handpicked by our guest curator Julien Baker, Ian Blurton’s Future Now, the latest righteous offering from the national treasure (C’mon, Change Of Heart, Public Animal), and indie-rocker turned electronic sensation Graham Van Pelt (Miracle Fortress, Think About Life). These acts join already announced artists such as guest curator Julien Baker, Japanese Breakfast, JPEGMAFIA, Le1f, Hop Along, Bully, Oblivians, Man Or Astro-Man?, Cate Le Bon, The Messthetics, Fly Pan Am, William Basinski, Kid Congo Powers + the Pink Monkey Birds and many, many more. As always, this year will feature plenty of local Calgary talent as well, including post-punks Melted Mirror, industrial noise outfit DRI HIEV, riot grrl favorites The Shiverettes, alternative dream-rockers Lashes, and the fast-paced indie licks of Sunglaciers. This is rounded out with the fuzzy 90s love letter of Paradise, the smooth flow of hip-hop veteran Sinzere, the seasoned indie rock stylings of Clinton St. John’s Ig Bo Lyn, stoner rockers Chron Goblin, experimental electronic act Corinthian, and 80s-influenced synthwave band NETRVNNNER. We are very excited to announce two Korean bands joining this year’s festival: the psych-rock of DTSQ, and the electro-pop trio numnum. For those who prefer the indie side of things, we’re adding anybodys, Blessed, Blue Odeur, The Garrys, Jo Passed, Lemongrab, Marlaena Moore, Motherhood and Sister Ray. On the rockier end, we’re happy to have Big Evil Rat, EXITS, GYM Tonic, Life In Vacuum and Wine Lips. For fans of electronic, experimental and hip-hop, join us in welcoming Justin Wright, Leucrocuta, Lex Leosis, Matthew Cardinal, Natural Sympathies, Physical Copies and Psychic Pollution. The complete lineup, including 180+ more bands, as well as comedy, film, art and special events will be announced in the coming months. 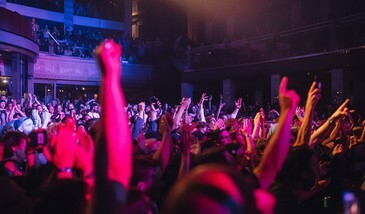 Watch the Sled Island 2019 festival trailer! 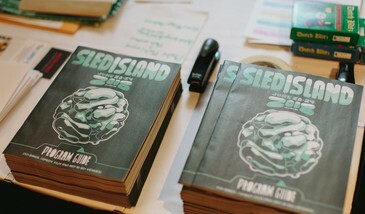 The Program Guide Coordinator will be responsible for managing and coordinating the content, delivery, and production of the 2019 Sled Island program guide. Sled Island is seeking a highly organized and dedicated individual for the position of Volunteer Coordinator. Reporting to the Executive Director and Festival Manager, The Volunteer Coordinator will work alongside the Assistant Volunteer Coordinator to recruit, train, schedule and manage volunteers leading up to and during the 2019 edition of the Sled Island Music & Arts festival. Today, we’re excited to launch a new way for you to show your support for Sled Island. Sled Island recently became a charitable organization, meaning we can now issue tax receipts for generous giving. We’re looking to our community for monthly or one-time donations that are an investment not only in the festival we all look forward to each year, but in our year-round support of Calgary’s music and arts scene. This is not a one-time campaign, but a new reality for ensuring a sustainable Sled Island. 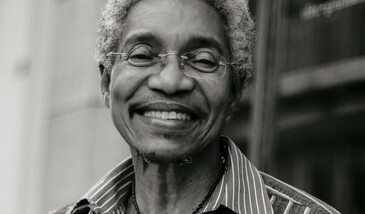 To learn more or donate, visit SledIsland.com/Donate. Our legendary Halloween bash at the #1 Legion is back! 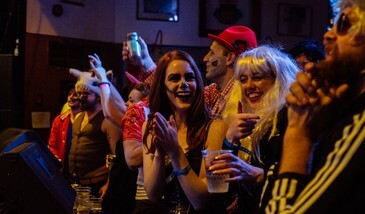 Each year, Sled Island teams up with CJSW 90.9FM to close out the CJSW Funding Drive with a three-floor Halloween blowout. This year's party celebrates Calgary's FM "anchor" with more than 15 local bands covering iconic yacht rock, surf rock and beachy summer classics on the main floor, a dance party upstairs and karaoke in the basement! Lineup coming soon. We're teaming up with Afros In Tha City to present UMOJA featuring Bonbon Kojak, Dudu Sauce, DJ Wale and Ra / Sol on September 29 at BLK RBT! 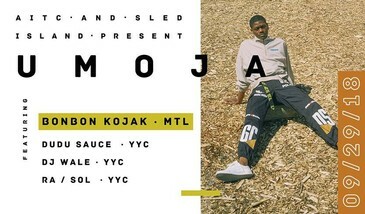 For the past few years, full moons in Montréal have come with the promise of skilfull curation by an enigmatic DJ who goes by Bonbon Kojak. He takes listeners on a high-octane journey through carefree tropical rhythms, exuberant Afro-house, brain-bending favela funk and all-around percussive hedonism. POP Montreal runs September 26 - 30, 2018! 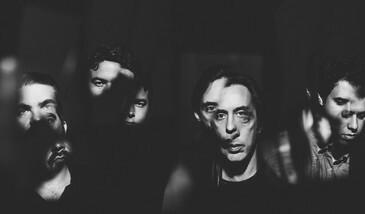 If you're in Montreal or making the trip, don't miss our showcase featuring Wolf Parade and Sled Island alums Freak Heat Waves at La Sala Rossa on Sunday, September 30 at 9pm. The soaring choruses, rousing anthems, sprawling guitars and chaotic keys that make up Wolf Parade are on proud display over the course of Cry Cry Cry, the band’s thunderous first album in seven years. That unique combination of sounds and influences, spearheaded by electric co-frontmen Spencer Krug and Dan Boeckner—a complex yet relatable, energetic brew of glam, prog, synth-rock, and satisfying discomfort—helped define 2000s indie rock with three critically celebrated albums, and propelled a growing Wolf Parade fandom even after the band went on a then-indefinite hiatus in 2010. 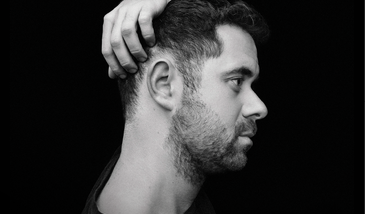 Sled Island is proud to present pianist and composer Jean-Michel Blais with opener Jiajia Li at Studio Bell on Thursday, October 4 at 7:00pm. Dans ma main, Jean-Michel Blais' sophomore release, is an expansive album of post-classical piano with strands of electronic detail. Blending his conservatory skill and precise pop sensibility with synthetic accompaniment, Blais creates unique environments where the piano’s intimacy can be subtly disrupted at any time. Classically trained flutist Jiajia Li is being praised as "one of the city's finest and most adventurous flautists." She was the 2016 recipient of Canada’s JUNO award micro grant and a multi-time scholarship recipient from the Banff Centre. Since her arrival in Calgary in 2014, Jiajia has forged her identity through music and performance, cutting across a wide range of modern musical experimentations and traditions. Currently a faculty member at the Mount Royal Conservatory, Jiajia is an active performer and has joined the sublist of the Calgary Philharmonic Orchestra. Advance tickets are $20 at NMC.ca/Whats-On. Lilac Festival returns to 4th St. SW on Sunday, June 3 from 10am to 6pm. 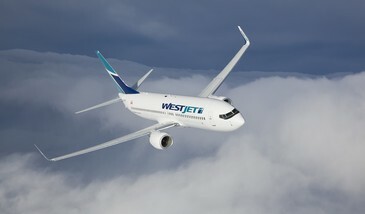 Come check out the Sled Island booth between 22nd Ave. and 23rd Ave. and you could win one round trip flight for two guests to any regularly scheduled and marketed WestJet destination*! Raffle tickets for this amazing prize will be available for $5 each. A winner will be drawn at random and notified on Monday, June 4. Our amazing volunteers will also be selling Sled Island 2018 passes, tickets and other goodies to kick off your festival season right. Get ready for the sixth annual, free, outdoor, all-ages Sled Island Block Party! We’ve planned a serious rager for Saturday, June 23, 2:00pm - 10:00pm. 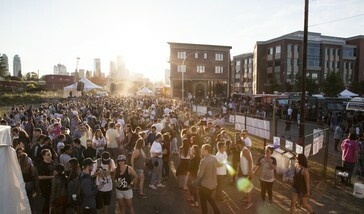 The Sled Island Block Party is the biggest dance party at the festival! We’re back in Inglewood and have lined up Bristol’s house head honcho Will Clarke, R&B all-star Harrison Brome, bass monster josh pan, rave expert Carissa Gem, warehouse bass act Dillon Nathaniel, dynamic duo Magic & Johnson, electro-pop ingenue Selci, minimalist badass BB Mars, party wrecking crew B*les & The Suede, multi-lingual pop act Strangerfamiliar and the serious pipes of Symfan. 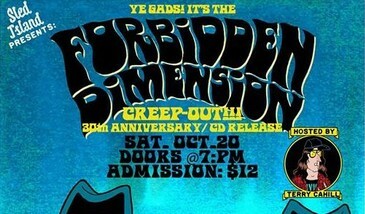 Major thanks to our friends at the Hifi Club for curating this special lineup. 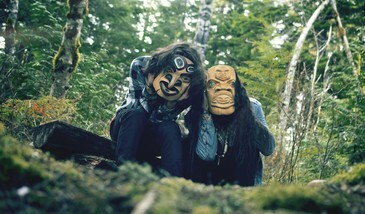 Sled Island is excited to celebrate National Indigenous Peoples Day on Thursday, June 21 with all-day programming at Arts Commons and an evening show at Commonwealth Bar & Stage. Join us and partners Indigenous Resilience in Music, Drum Beat, imagineNATIVE, Treaty 7 Film Collective, CBC Calgary and Arts Commons for a day of events at Arts Commons, beginning with a Mini Pow Wow at 11:30am. 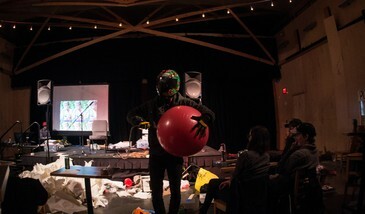 At 1:00pm, there will be a Rhythm of the People workshop with Sled Island 2018 artists Snotty Nose Rez Kids and Mob Bounce, who will present a talk, conduct a writing workshop and give a mini-performance. At 5:00pm, catch the imagineNATIVE Film + Video Tour, featuring shorts made by Indigenous filmmakers from across the country. All of these events are free and open to the public on a first-come, first-served basis. The time has finally come! The full Sled Island 2018 schedule is here. Start planning the five best days of your entire freakin' life with all the what, when and where there is to know about Sled Island. 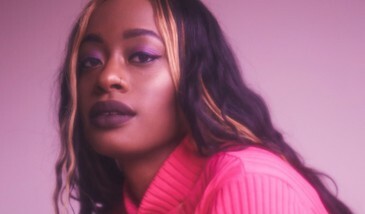 Today's announcement also includes new artist announcements including R&B sensation Kari Faux (pictured) and noise rock gods Cherubs, plus Sled Island Block Party performers Will Clarke and Dillon Nathaniel (who will also perform later on Saturday, June 23 in a special B2B set at the HiFi Club). Other new Block Party acts include B*les & The Suede, BB Mars, Magic & Johnson and Selci, all of whom join previously announced performers Symfan, Strangerfamiliar, josh pan and Harrison Brome. Also added today are indie rockers nêhiyawak, blues rock powerhouse Bebe Buckskin, roots rattlers Cold Water and the stoner stomp of Gone Cosmic. Rounding things out are electronic entertainers Carissa Gem, HUNDRED% (Yung Nino + DJ C-Sik), OAKK and OpenEnd. 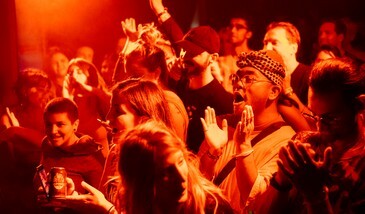 Sled Island is thrilled to unveil this year's lineup of Special Events and Conference programming. 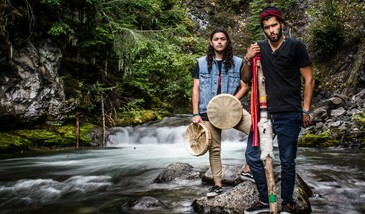 New activities under the Special Events heading include a partnership with IRIM, Drum Beat and Arts Commons for a series of events in celebration of National Indigenous Peoples Day, featuring a Mini Pow Wow, a Rhythm of the People workshop co-led by Snotty Nose Rez Kids (pictured) and Mob Bounce, as well as an imagineNATIVE shorts package (outlined in our Film lineup). Look for more information on Sled Island's National Indigenous Peoples Day programming next week. Another addition to the Special Events portion of Sled Island is a weekend of fun and learning at the Memorial Park Library, where music-lovers of all ages are invited to take music lessons and jam with fellow festival attendees. Sled Island’s 2018 visual art lineup is here! We're delighted to feature projects by some of Alberta's most exciting artists at this year's festival. 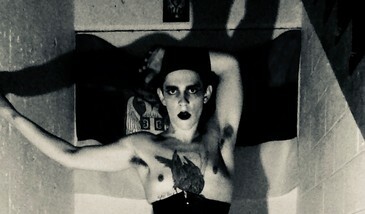 Discover work by Ashley Bedet; Brett Bonk, May G N and Sean Taal; Seth Cardinal; Craig Fahner and Matthew Waddell; Megan Feniak and Kerry Maguire; NIK (pictured); Bronson Smillie and the return of the WE ARE NOT AN ISLAND Queer Zine Fair; plus projects by Jade Nasogaluak Carpenter, Anna Semenoff, Teresa Tam and Marika Vanderkraats (details coming soon). Schedule information, as well as a handful of additional projects, will be revealed in the coming weeks.